Once in a blue moon, a fresh new talent rises above the crowd - a talent who, with style and a voice that both enchants and energizes an audience, shines brighter than the rest. That talent is Chris Curtice. 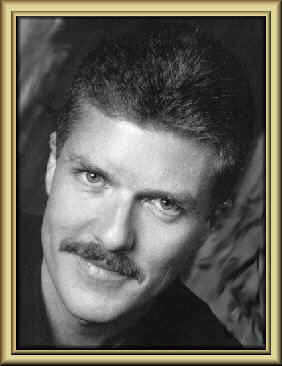 Born in Tulsa, Oklahoma, Christian Lee Curtice, the six-foot two-inch, blue-eyed, blonde haired country singer makes his home in Fresno, California. After earning a degree in Criminology at California State University Fresno, he went to work with the Fresno County Sheriff's Department and is currently a Detective in the Homicide Unit. His personal integrity and compassion shows in his music. When he is not singing or writing, you can find him horseback riding or travelling. Although Chris has always been interested in music, it wasn't until July of 1995 that he "performed" in public singing Karoake at a local night spot. The response was so overwhelming and his ability so obvious that he entered a talent competition in Las Vegas, at which he was asked to go to Nashville and record a CD. 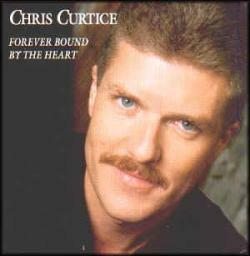 In October of 1996 Chris recorded his first release, "Forever Bound By The Heart", a title track, written by two of his band members, Tony Quinn and Joe Tyler. The song, which deals with the issue of missing children, is the only song on the CD written outside of Nashville. This cause is so near and hear to Chris's heart, he sought and gained the endorsement of the National Missing Children's Locate Center, Inc. and donates a portion of the proceeds from the sale of each CD to the center for its work in locating and returning missing children to their families. 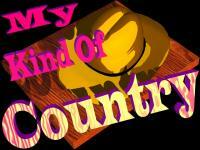 Preferring a more traditional country sound, Chris has what it takes to be a successful artist. He's fun-loving, handsome, sings from the heart and loves performing. The fact that he is also very talented is just the icing on the cake. After listening to his music, you can't help but become a Chris Curtice Fan! "Bound By The Heart" on the "Special Feature"